Some interfaces have external or built-in potentiometers for the audio input adjustment to the soundcard. Unfortunately, this potentiometer is adjusted in some interfaces for a minimum volume output and it is not appropiate for weak signals detection. Test have shown that you could loss until 10 dB of reception if this potentiometer is not properly adjusted. Recommended to adjust this potentiometer for the maximum audio. After, adjust the audio input properly using the Windows Audio Mixer until the ROS VU marks about -5 dB or -4 dB. Now, with the v6.4.1 Beta, ROS CAT can works until the Virtual Port Number 40. 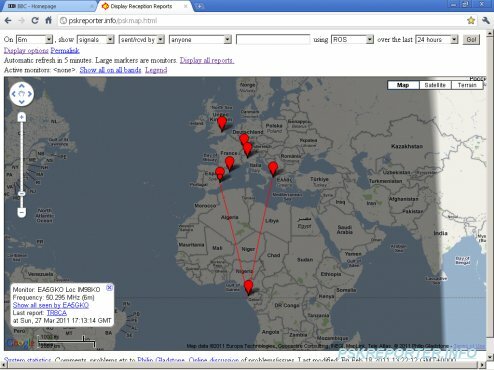 Great DX of 4300 kms last weekend on 6 meters of TR8CA in Gabon with Spain and Italy. Congratulations!. 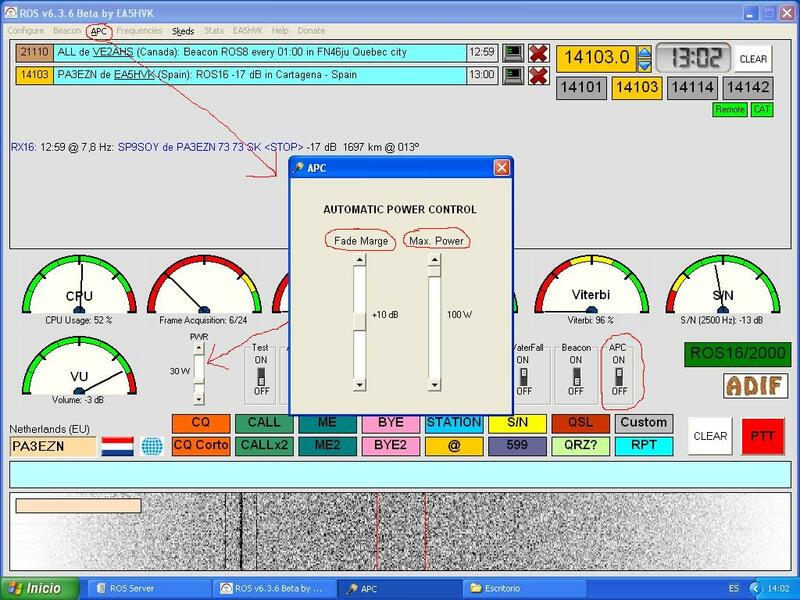 This new system adjusts the RF Power depending on Fade Marge you want to have and using the reports recieved. Thus, communications can be more efficient. In the APC menu, select the Fade Marge and the Power Limit for this system. +10 dB is an enough value for Fade Marge, but you can experiment with lower values. APC is switched with the APC switch. Important: Logically, this system requires a CAT interface and a rig with the possibility of controlling the RF power by commands, unless you have a robotic arm connected to the serial port. To date the 5 meg band has been the grave yard of data modes , turbulent and unstable propagation reducing end stopping signals to gibberish , high band noise adding destructively to the drop out rates of psk systems. 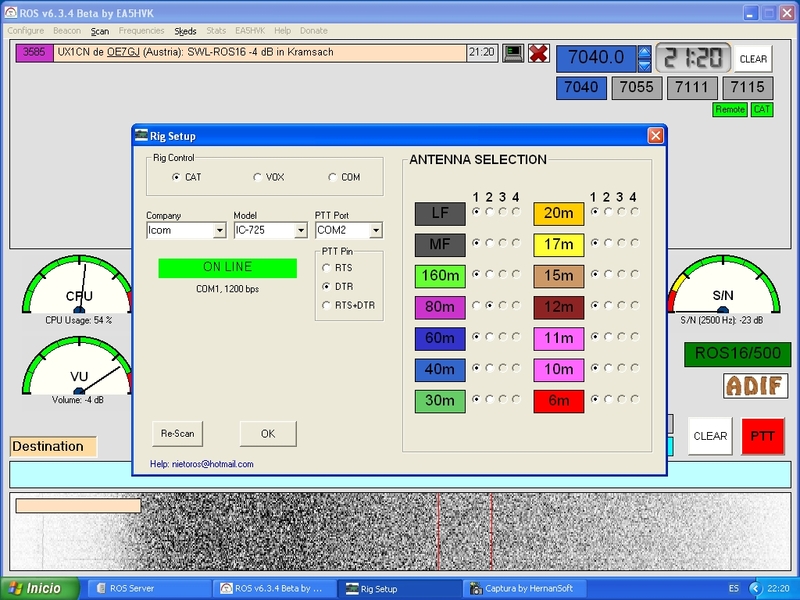 Select the antena connector (1-4) according to the Band. Only available for Rigs with several antenna connectors. 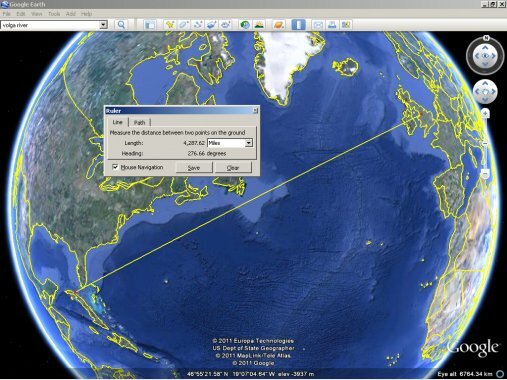 Antenna Selection works in Remote Mode too.